It’s pretty amazing what police officers put up with, which is why, at least in my opinion, we should thank them for their service whenever the opportunity comes around. On an average shift in any police station in America, you could be dealing with violent criminals, scuffles in the waiting room, or any number of complications that will make your shift that little bit harder. And that’s on top of the usual day-to-day role requirements. One thing you wouldn’t usually expect is for a giant bear to stroll in and start sniffing around for food – but that’s exactly what happened at this police building in California. 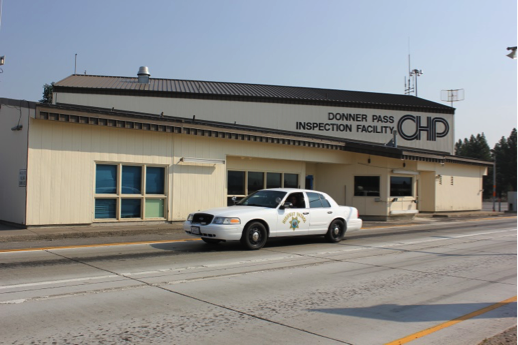 An amazing video, taken from the California Highway Patrol inspection facility at Donner Pass, has since gone viral for the casual nature in which the bear intrudes on the on-duty officers. 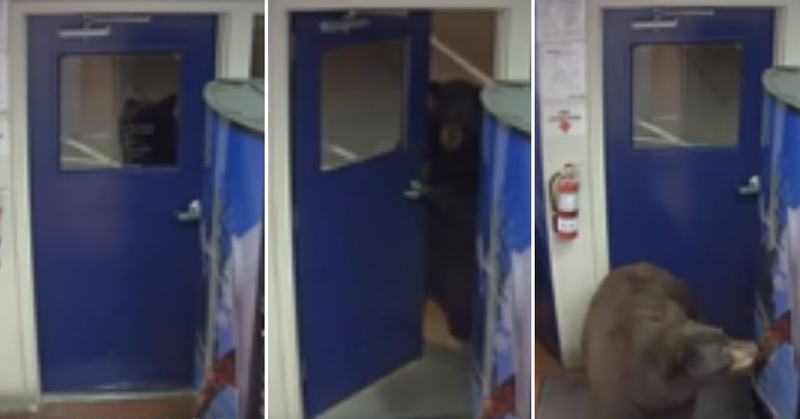 What makes the video even more amazing is that the bear seems to work the door handle as well as a human could, which is actually pretty scary when you think about it. The bear is also walking around upright on its hind legs, and looks lost and inquisitive. It’s basically just a really furry person, looking for a snack. 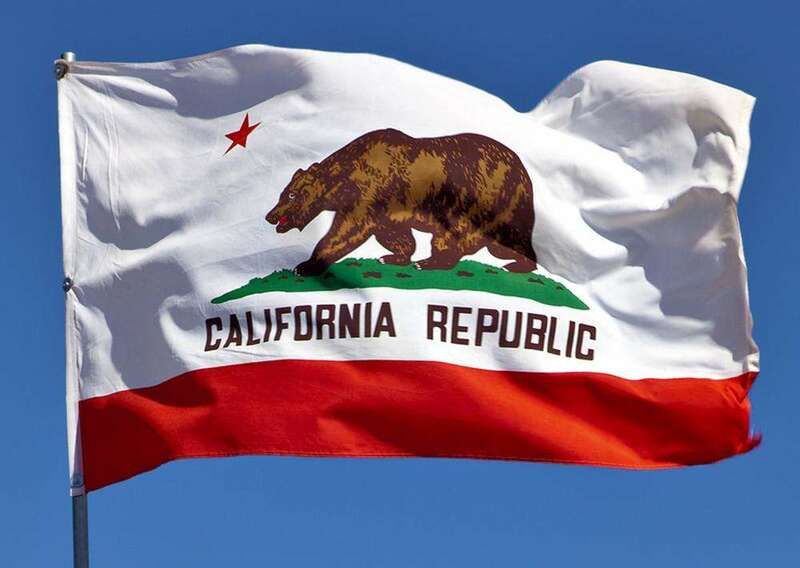 I suppose it’s pretty fitting that this incident took place in California, the state with a bear on its flag. The CHP Facebook page also mentioned that the bear had come back a second time, and posted a second video of the bear rooting through the bins outside the building. It would seem that he is not out to harm anyone – he just wants a meal. Still, it must have been pretty scary for the officer on duty, and it’s a blessing that no one was hurt as a result of the incident. Just a little something else to look out for next time you’re hanging out in California! Follow the Aunty Acid page on Facebook for more stories like this.